The third and final season of “The New Adventures of Peter and Wendy” is upon us. I’m the transmedia producer for this charming, modern-day adaptation of J.M. Barrie’s classic “Peter Pan,” and in that capacity I oversee the interactive transmedia experience that plays out during each season’s release. In short, I play the fictional characters from the series on social media, weaving a real-time, cross-platform narrative in and around the live-action episodes of the webseries. But “The New Adventures of Peter and Wendy” transmedia experience is more than just interactive; we go so far as to invite you to play in the sandbox with us. Another part of my job as transmedia producer is to shepherd our vibrant community of fan roleplayers, who create social media accounts for their own original characters who live in the Neverland, Ohio, the fictional town in which the series is set. And one of my mission statements on the series is to acknowledge and incorporate as much of the fan-created content as I can, canonizing fan-fiction and turning it into fan-fact. I’ve delved pretty deeply into the phenomena of online fan roleplay here on the site, but the purpose of this post is to let you know that this is your last chance to play in Neverland, Ohio. And if you’re new to this kind of thing, by the time you’re done reading this post you should have all the tools you’ll need to jump on board for our last trip to Neverland. If you’re new to Neverland, you’ll have a bit to catch up on. 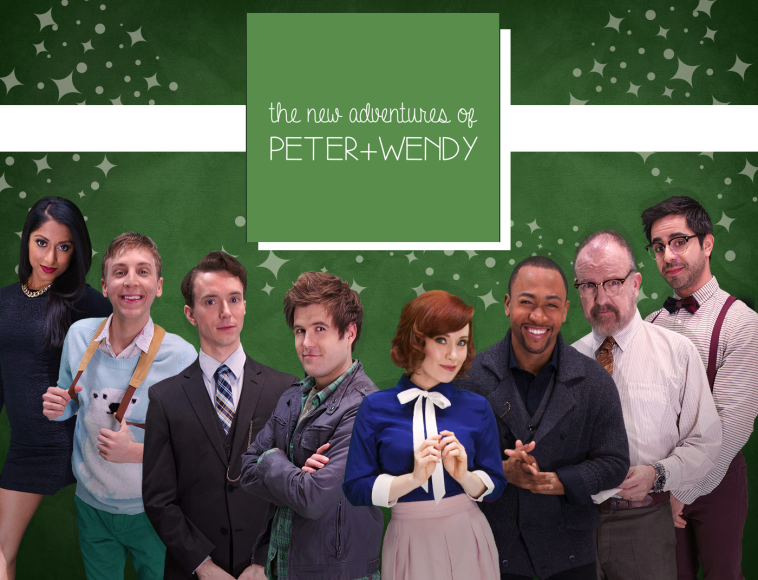 But you’re in luck, because we’ve just released a curated look back at the first two seasons of “New Peter and Wendy’s” transmedia experience! And we’ll be adding season 3 content as we go, so you’ll never have to worry about falling behind again. Now, when you’re ready to dive in, you’re going to need to come up with your own roleplay character. If you’re looking for a little inspiration, check out this Twitter list of the lion’s share of “New Peter and Wendy” fan roleplay accounts. When you’re ready to throw your hat in the ring, head on over to Twitter and create a new account. And no one’s saying you have to limit yourself to just one character! Now, when it comes to setting up roleplay accounts, here’s a tip I’ve learned from our fans: Include some version of “roleplay account” or “RP account” in your character’s Twitter bio. There are folks at Twitter whose job it is investigate new accounts and flag anything that looks like suspicious activity, but indicating that your account is specifically designed to engage in fan roleplay should keep those mods off of your back. But how do you keep abreast of all the goings-on in the magical town of Neverland? Well, “New Peter and Wendy” has an in-world transmedia hub, a website for the local newspaper, the Kensington Chronicle (or the K-Chron, as it has recently been re-branded). “In-world” means it exists in the world of the story, so the K-Chron website is presented exactly as it would appear to Peter Pan and Wendy Darling and all of the other characters in the story world of “New Peter and Wendy.” And once you’ve set up your roleplay Twitter account(s), there’s a post on the K-Chron site telling you exactly how you can get involved. This page will also clue you in to the official “New Peter and Wendy” character accounts for Peter, the Darlings, and the rest of our cast. The roleplayers have enriched the series and the town of Neverland, Ohio, in ways that we never could have predicted. And if you jump on board now, you’ll get your chance to forever leave your mark on Neverland as well! So this might be our final trip to Neverland, but your experience in the world of our show doesn’t have to stop when the show ends. The characters(s) you make now can transcend our show and jump into the fandom of wildly disparate, otherwise-unrelated webseries, tying them together in ways that traditional media couldn’t even fathom. These characters are an outlet for your own creativity, and an opportunity to engage in an act of true co-creation with creators like the “New Peter and Wendy” team and other purveyors of interactive transmedia webseries. This is your chance to leave your mark on your fandom, to make new friends – both real and imagined – and to be a part of an entertainment experience unlike you’ve ever experienced before. Tell your stories with us. Use Storify to archive them so we never forget. And join us in Neverland one final time. You know the way: second star to the right, and straight on till morning.